Hello Lovelies, I hope you're all well and are enjoying the new week! After spending most of my weekend relaxing and catching up on all things blog related, I'm definitely ready for all of the challenges that the new week brings! Recently, I've been on a bit of a quest to find the perfect matte foundation which will keep shine at bay, as I have quite oily skin and am fed up of constantly having to powder. After asking on twitter which drugstore foundations were best for oily skin, pretty much everyone said the Revlon Colourstay Foundation for Oily/Combination Skin was the best so off I popped to Boots (where I still managed to spend like £50 on make up, despite only going in for one thing!). I thought that the colour range for this foundation was actually pretty decent for a drugstore foundation range. It seemed to cater for the paler and darker skin tones, with a range of warm and cool toned shades, so I'm sure that you would be able to find a good match if you were interested in this range. First things first, the packaging. 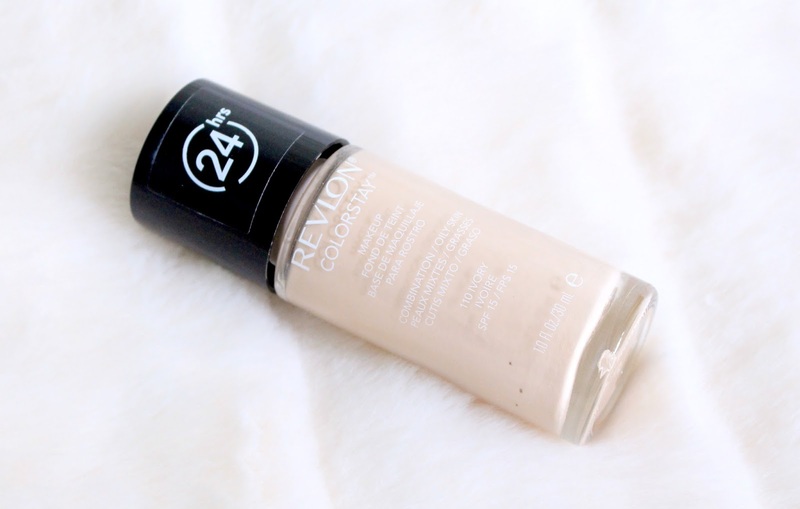 The Revlon Colourstay Foundation comes in a glass bottle with a plastic screw cap, its pretty standard and nothing fancy but it does the job nicely. The one thing that does bother me though is the lack of a pump on the bottle. My god, this foundation is hard to get out! I really don't see why foundations wouldn't come with a pump, it just makes life easier. I literally have to tip this bottle upside down and bash it on the back of my hand to get any out, then it all comes out at once - so annoying! Anyway, rant over. The first thing I noticed about this foundation (apart from the lack of pump) is how thick it is. If you don't like heavy or thick foundations then I would seriously recommend that you avoid this one. I'm not the biggest fan of heavy foundations, so I decided to apply this with a Beauty Blender as it thins it out a bit when you apply it. I found that I liked it when I applied it with the beauty blender, but when I tried it with a brush is was just too thick for me, no matter how much buffing I did. 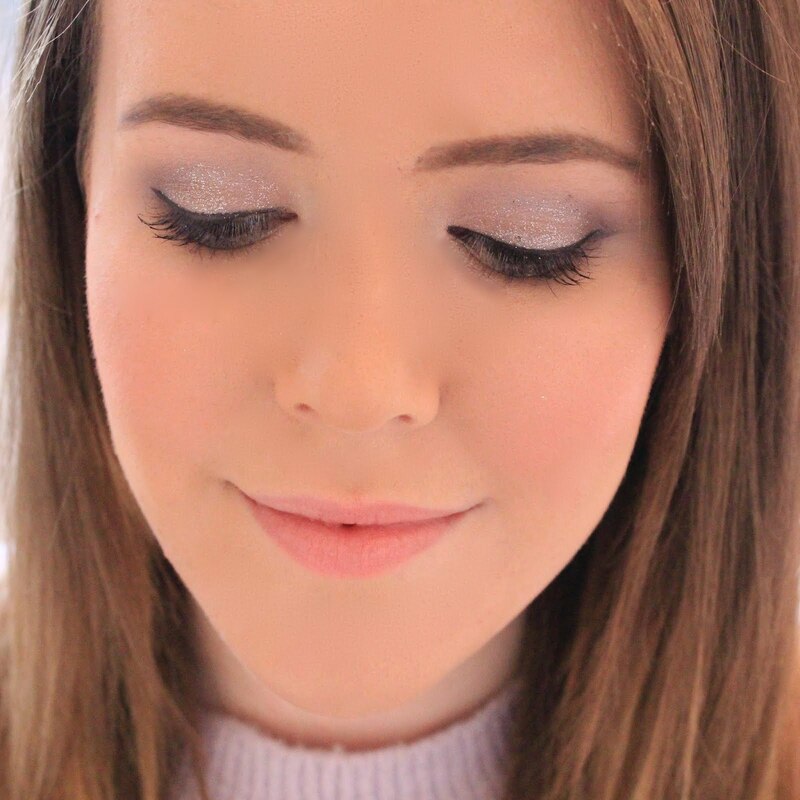 I'd also say that the coverage is medium to full and it can definitely be built up, this foundation covered everything I needed it to, and it meant that I could go easy on the concealer. But did it last? I am happy to say that it did a pretty goof job of lasting on my skin. I found that on the areas where I have very large pores, it didn't last too long, however everywhere else it didn't budge. This isn't to say that it stayed matte all day though. When I first applied this foundation, it went on very matte which I liked as I'm getting quite fed up with my oily skin but this didn't last all day and I found that I did need to powder after a couple of hours. It did however, last slightly longer than any other foundations I have which I was impressed with, as it only costs £12. Overall, I do like this foundation as it does what I needed to, but ideally I would like it to be a little thinner and light weight on my skin. What do you think of the Revlon Colourstay Range? I'd love to know your thoughts! I used to use the normal/dry colorstay foundation, and I really liked it. Wide range of colours and really good for a drugstore product. I agree that it might be too heavy for oilier skins though, as it's very thick. Sounds great and I think I've tried this at their counter and it did pretty good for my oily/combo skin. I should have bought it but I might try it. This is my every day foundation at the minute and I'm actually really enjoying it! I know what you mean about it being a bit thick though I'd like if it was slightly thinner too!! I really love the foundation but it takes me so long to get it out of the bottle! It makes no sense why they wouldn't just give it a pump!! !